For the prevention and treatment of acute and chronic ear problems of animals. 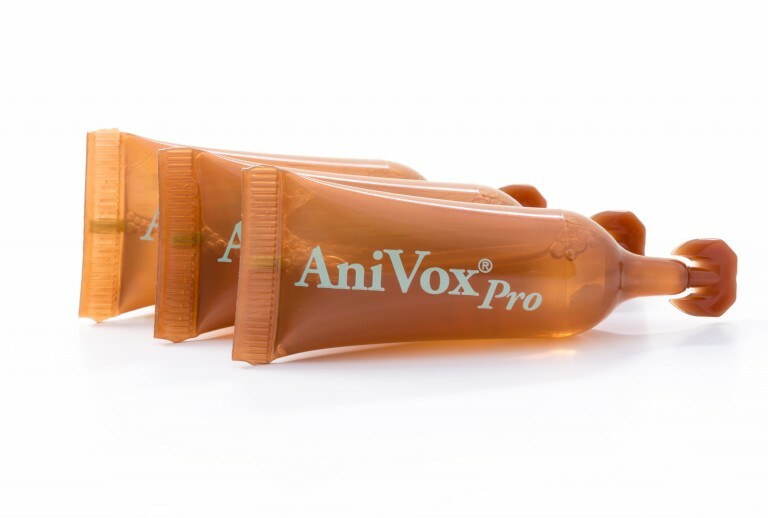 AniVox® Pro for professional use also available in 7 ml single doses. Store the product in a clean place at room temperature. Shelf life in room temperature unopened 5 years and opened 12 months. 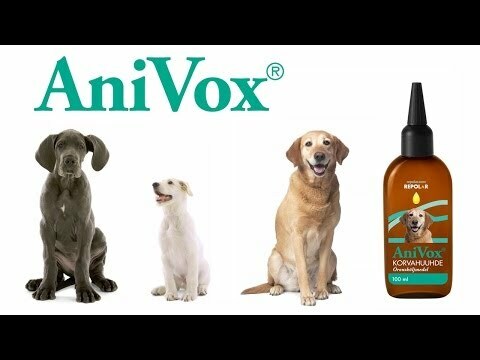 AniVox® Ear Wash contains active components from the natural coniferous resin separated by using the Resol® Technology. Before using, make sure that the solution is warm. You can warm the bottle on warm tap water. Use of cold solution may cause irritation on your pet. Lift up the dog’s pinna. This will straighten the L-shaped ear canal and the opening of the ear canal should be more easily visible. Place the spout of the ear wash liquid bottle to the opening of the ear canal and fill the ear canal with the solution. Hold the dog’s pinna up and rub the outer ear channel gently for a couple of minutes. This way the solution will rinse, dissolve and release ear wax from the ear channel. With most dogs you will actually be able to feel the vertical part of the ear channel through its skin as a tubular cartilaginous structure below the opening of the ear canal. Allow your dog to shake its head, so the released ear wax and excess liquid will drip from the ear channel. Wipe the opening of the ear channel and the pinna after this treatment with a clean cotton wool or gauze.